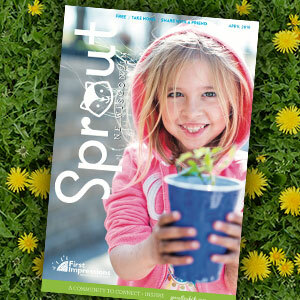 Sprout Fox Cities is a locally, family-owned magazine that publishes local stories, connects local shops with the community, promotes family events, and focuses on life and fun in the Fox Cities! Our mission is to equip on-the-go parents with the most relevant and useful products, services, and events, as well as a forum for sharing their personal struggles and collective triumphs. This local family magazine is a purse-sized and is published 10x a year. It contains topics on family, children, healthy eating, fun activities, community, shopping, and more. Sprout aims to inform and inspire, educate, entertain, and ultimately to explore everything that will help local moms and dads. Available FREE of charge at roughly 200 convenient locations from Kaukauna down to Oshkosh–including retail stores, daycares, libraries, zoos, athletic clubs and more–Sprout gets into the hands of thousands of parents each month. Special attention is given to sit-and-read venues such as doctor’s offices, dance studios, salons, kid-friendly entertainment outlets and more. If you would like to be have Sprout at your business contact us! Be the most comprehensive source for useful products, services, and information. Build a happy family and happy community. Be a forum for parents to share their personal struggles and collective triumphs. Bring families together and make their lives easier, more fulfilling, and more fun. Include articles focusing on family, nutritious food recipes, wellness tips, sports, and much more. Educate readers with articles written by local writers about local events and non-profits. Inspire parents and children with real uplifting stories from parents just like you. Interested in getting Sprout delivered right to your home? We will send you 10 issues for just $25. Fill out an order form here. Consider affordable advertising with Sprout Fox Cities – the area’s only family and parenting focused community magazine featuring events, dining, non-profits, and shopping in the Fox Cities. 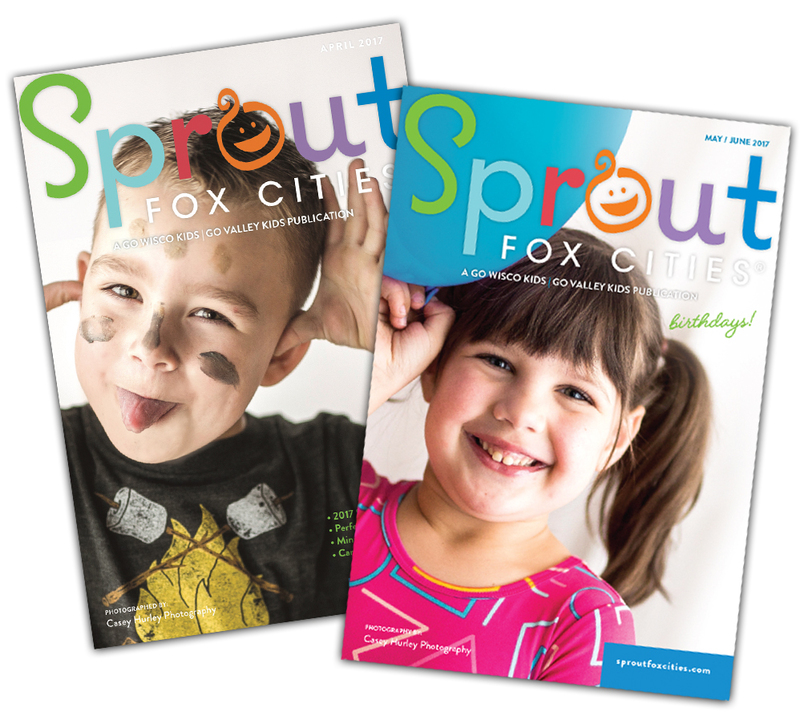 Sprout Fox Cities is a Go Wisco | Go Valley Kids Publication. For more information contact govalleykids@gmail.com.